IntraOp is a private company that has developed a revolutionary medical device called the Mobetron, which utilizes electron linear accelerator (LINAC) technology to deliver Intraoperative Radiation Therapy (IORT) for the treatment of certain types of cancers. Cancer is one of the leading causes of death worldwide. The National Cancer Institute (US) estimates that there will be more than 250,000 new cases of breast cancer detected in the U.S. in 2017, along with 135,000 cases of colorectal cancer and 53,000 cases of pancreatic cancer. In modern cancer treatment, nearly every leading cancer program uses some form of radiation to augment surgery. Historically, radiation treatment involved a time-consuming and imprecise external procedure that put a patient's healthy tissue and organs at greater risk. IORT revolutionized that traditional model by administering radiation during the surgical process. It's safer, more accurate, and it saves the hospital and the patient a considerable amount of time. And time is money. Beyond that, clinical data confirms that successful outcomes with IORT are simply more consistent. 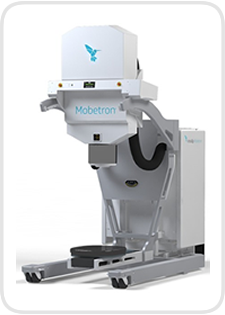 IntraOp's Mobetron is the first mobile, self-shielded electron beam LINAC designed to deliver IORT to cancer patients during surgery. Significantly, the Mobetron is the only device of its kind that can be used in the operating room itself, eliminating the need to transport the patient during surgery to a neighboring shielded "bunker" to administer the electron IORT, which lowers the cost and the risk of infection. IntraOp received U.S. Food and Drug Administration (FDA) approval for the Mobetron in 1998, and in 2013 Medicare approved reimbursement for electron IORT. The Mobetron is currently in use in more than 40 leading cancer centers worldwide, including the Cleveland Clinic, the Mayo Clinic, Stanford University Medical Center, the University of California at San Francisco, and Massachusetts General Hospital.